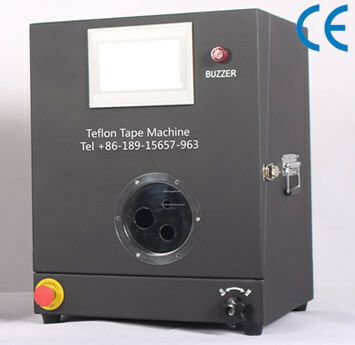 ﻿Automatic PTFE teflon tape wrapping machine, application machine, dispenser. 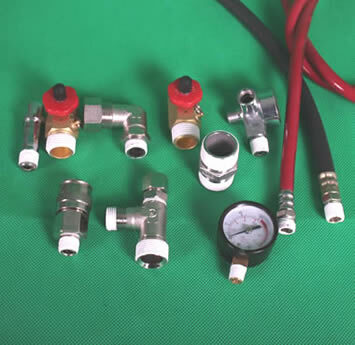 Widly used in Fire Protection, Fluid Control, Gas Pipe, Water Filtration, Medical Equipment, Hydraulic, Pneumatic, Pressure gauge. The number of cycles can be set freely. Reduce tape usage and waste caused by manual wrapping. 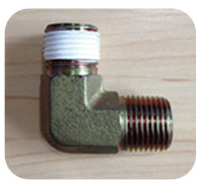 Can save costs by 500% on thread seal tape cost. 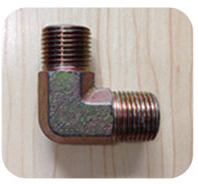 Wrapping a pipe thread takes only a few seconds, greatly improving efficiency and saving labor costs. The Automatic teflon tape wrapper wrapping parts are strong, uniform, regular and reliable, not fall off, eliminating all leaks, ensure safety. The number of applications will be displayed on the Touch screen of teflon tape dispenser, making it easier to count..
Place the threaded joint onto Teflon Tape Applicator. The tape dispenser will wrap automatically in 3 seconds. 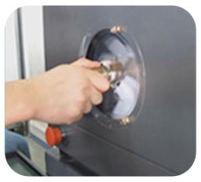 If you’re still wrapping threaded joints or valve with PTFE thread seal tape by hand, The Teflon Tape application machine is the best choice for you!